For most people, Microsoft’s range of home softwares probably doesn’t get hormones going, unless of course you’re researching “Boobies”. I don’t ever recall bloggers speculating feature lists or leaking blurry screenshots of the ‘next’ version of Encarta or Microsoft Works. Granted Encarta, Money, Student and Works are all very functional products, they haven’t really innovated or changed all that much. Project “Ohana” might have changed all that, if it hasn’t been already canceled. As identified in Mary Jo’s book-of-codenames, “Ohana” is a Hawaiian phrase for extended family, in a nutshell. There is a rich cultural meaning behind it and for a deeper explanation, check out its Wikipedia article. At the time besides a few rumors not much else was known. This week, I found a few “Ohana” tidbits that I think paints a much better picture of what is, or what it was. Reading the Jackson Fish blog, I came across a link to SectionSeven, a (talented) Seattle-based design and development company who also worked on “Tafiti“. Innocently browsing their portfolio, I stumbled across a Microsoft project which they showcased, “Ohana”. When I clicked on it, I felt like opening Pandora’s box. 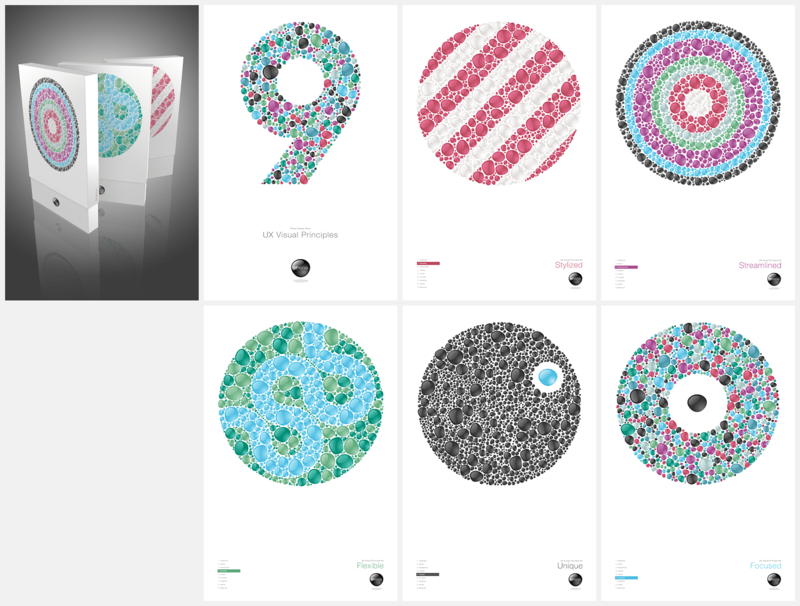 Included were design concepts including a CD packaging prototype and a set 5 out of 9 posters illustrating the user-experience principles for “Ohana”. I nearly dropped my jaw, luckily I caught it just in time. Each principle is illustrated using only a pile of pebbles. Pebbles represent all the little pieces of a person’s life. These pebbles were all placed and arranged by hand – pebble by pebble. These posters could be spot varnished and embossed for blind folks. CD sleeves in one hand and “people” in the other, I imagined “Ohana” as a set of personal productivity and lifestyle desktop applications and/or services, in a similar fashion to Apple’s iLife package. Perhaps even as far replacing and separating the ‘standard’ tools included in Windows such as Photo Gallery and Movie Maker with more professional and feature-rich alternatives. Just when I thought I had it, I found evidence to suggest otherwise adding another dimension to the puzzle. Do you have the creativity and tenacity to help develop a version 1.0 release? Are you interested in building a client-server system? Come join us in transforming the consumer software business and building an indispensable system for families worldwide for simplifying, connecting, and enriching everyday life. This project is being built by the division previously responsible for Microsoft’s retail consumer offerings – Encarta, Money, and Digital Imaging – and is an attempt to revitalize this sector. You will play a key role in architecting, defining and building this new platform. Come join us in transforming the consumer software business and building an indispensable system for families worldwide for simplifying, connecting, and enriching everyday life. This project is being built by the division previously responsible for Microsoft’s retail consumer offerings – Encarta, Money, and Digital Imaging – and is an attempt to revitalize this sector. # Experience in building client-server based systems, scalable and fault tolerant distributed systems and applications based on web services and SQL is a plus. # 2 years of experience in software development and/or testing, solid coding skills (C/C++ and/or C#) with strong knowledge of algorithms and data structures. In honor of Ted “Tubes” Stevens, this is a truck-load of information. From the above we can gather it is a web-enabled service platform targeted towards families worldwide with the purpose to improve everyday life. It is also built by the same team that builds the existing set of home applications, but in hope to revitalize the ‘sector’. There might also be a website component with AJAX. After you put everything together, interesting would be an understatement. If you were to say this is too good to be true, then you’re right. The ‘gotcha’ is that these job postings are from September 29, 2006 (as the URL suggests), making them just under a year old. So if anyone’s looking for a job, try your luck. Oh, did I tell you you might never see “Ohana”? From what I can tell, the project might have been stalled or canceled completely. If that is the case, which I still can’t confirm, it will truly be a shame since someone spent countless hours making thousands of pebbles. Otherwise it sounds like an ambitious project with so much potential. Hope. Does this have anything to do with Microsoft cancelling their Digital Imaging suite, or does that have to do with their Expression studio stuff? Nice find Long! This is why I love your posts. You’d think with the hundreds of concepts and potential products MS work on *ahem* Longhorn you’d think they’d materialize as more exciting products than the Zune. “Ohana” was also one of the working names used for what eventually became the Verdana and Tahoma fonts. I’m sure there have been at least 36 other projects that have used this codename.